Autism spectrum disorder is a developmental disorder marked by impaired social interaction, limited communication, behavioral challenges, and a limited range of activities and interests. It has been estimated to affect 1 out of every 68 children in the United States and is five times more common in boys than in girls. Children with autism can show a wide variety of behavioral symptoms, from failure to develop appropriate peer relationships to a delay in or a total lack of spoken language. For children who do speak, there may be a repetitive use of language or a delay in the ability to sustain a conversation with others. Symptoms of autism can also include hyperactivity, short attention span, impulsivity, aggressiveness, self-injurious behavior, and temper tantrums. Evidence-based autism treatment promotes the development of social and communication skills and minimizes behaviors that interfere with functioning and learning. Intensive, sustained evidence-based autism treatment can increase an individual’s ability to acquire language, learn, function in the community, and fulfill his/her potential. The Diagnostic and Statistical Manual of Mental Disorders is the most widely accepted reference used for the classification and diagnosis of ASD. The most recent edition (DSM-5; American Psychiatric Association, 2013), redefined the diagnostic criteria for ASD, which was previously regarded as three distinct diagnoses (i.e., autistic disorder, pervasive developmental disorder—not otherwise specified, and Asperger’s disorder). The DSM-5, however, classifies ASD as a single disorder characterized by persistent deficits in social communication and social interaction, in addition to restricted, repetitive patterns of behavior, interests, or activities. The Modified Checklist for Autism in Toddlers, Revised (M-CHAT-R) is a free, validated screening tool that assesses a child’s risk for ASD. If you have concerns about your child’s development, express your concerns immediately to your child’s pediatrician and request a referral to a specialist who can perform more thorough assessments. The Centers for Disease Control and Prevention (CDC) estimates that 1 in 68 children are diagnosed with autism spectrum disorder (ASD) in the United States. That is about 30% higher than the previously estimated rate of 1 in 59 reported in 2012. The factors contributing to increases in reported rates of ASD are not fully understood. While increased rates may be partially explained by improved screening and diagnostic practices, researchers are also exploring the roles of various environmental and genetic risk factors. CDC statistics reveal that ASD is present across all races, ethnicities, and socioeconomic groups. In addition, boys are more likely to develop ASD than girls. There is no single known cause for ASD. Rather, evidence suggests that there are many factors involved in the development of ASD. Researchers are actively exploring the roles of various genetic and environmental risk factors. Genetics have been found to play a significant role in the development of ASD. Evidence indicates that siblings of children with ASD are at an increased risk of developing ASD themselves. Research conducted on twins has found genetics to play a sizable role in the development of ASD. Additionally, rates of ASD are higher among children with various genetic disorders, including fragile X syndrome and tuberous sclerosis. Numerous gene mutations have been found to increase the risk of developing ASD by varying degrees. Sometimes gene mutations are inherited from a parent who carries the same gene mutation while other times gene mutations occur spontaneously. Advanced parental age, another risk factor for ASD, may increase the chance of genetic mutations that occur spontaneously as genetic material is copied over from parent to offspring. In addition to genetic factors, a number of environmental factors have been found to increase the risk of developing ASD. Many environmental risk factors consist of prenatal exposures, including maternal contact with high levels of air pollution, maternal viral and bacterial infections and maternal ingestion of some prescription drugs including selective serotonin reuptake inhibitors, a type of antidepressant. On the other hand, prenatal vitamins ingested during pregnancy and the months preceding pregnancy have been found to reduce the risk of ASD. Birth complications involving oxygen deprivation are also associated with an increased risk of ASD. Intensive behavioral intervention (IBI) is the only empirically validated treatment for ASD. Based on the principles of applied behavior analysis (ABA), IBI is conducted at a high intensity, typically between 30 and 40 hours per week, for multiple years. Evidence suggests that greater treatment intensity leads to superior outcomes. Evidence also indicates that IBI is more effective if initiated in early development; however, services initiated at any age are beneficial for the acquisition of valuable skills. FOR AUTISM RESOURCES IN YOUR AREA, visit LOVEMYPROVIDER.COM. ACT Today! is a national nonprofit organization whose mission is to raise awareness and provide treatment services and support to families to help their children with autism achieve their full potential. The Autism Society, the nation's leading grassroots autism organization, exists to improve the lives of all affected by autism. Since 1967 ARI has focused on studying treatments that improve the quality of life--sometimes to the point of recovery--for those on the autism spectrum. Autism Resources has information and links regarding the developmental disabilities autism andAsperger's Syndrome. Autism Speaks aims to bring the autism community together as one strong voice to urge the government and private sector to take action to address this urgent global health crisis. TheAutSpot.com is a free online community linking family members and specialists nationwide who deal with children diagnosed with autism. Offers books, merchandise, and other autism resources, so that those affected by autistic childrencan recognize the signs and find help. We monitor all the major news sources, websites and the latest research for important and practical news and developments with a balanced, no-spin presentation. TACA provides support and education for families affected by autism through local chapters, coffee talks, parent support, educational events, and more. USAAA is a leading nonprofit organization for education, support, and solutions. Inspire builds online health and wellness communities for patients and caregivers, in partnership with national patient advocacy organizations, and helps life science organizations connect with these highly engaged populations. Autism Parenting Magazine aims to provide you with the most current information and interventions about Autism so that you can make the most informed decisions about what will benefit your child. Autism Live is an interactive webshow providing support, resources, information, facts, entertainment and inspiration to parents, teachers and practitioners working with children on the Autism Spectrum. Viewers are encouraged to participate by asking question of experts, offering suggestions for topics to be discussed and sharing progress their children have made. Shannon Penrod is the proud mother of a nine-year old who is recovering from Autism. Her son Jem was diagnosed at the age of two and a half after having lost virtually all of his language and social skills. Helping her son on his journey through Autism became Shannon’s top priority. Whether it was researching new diets, learning the legal ins and outs of special education law or finding funding for ABA therapy, Shannon became her son’s best advocate and an advocate for many other families. In 2009, Shannon began the host and producer of Everyday Autism Miracles, a weekly radio show that focuses solely on Autism and hope. An award winning stand-up comedienne, director and author, Shannon’s goal is to provide families with information and hope while on their journey through autism. Autism is currently among the most controversial issues in American public health. Presumably because of the mysterious nature of the disorder, autism continues to be the focus of countless "fad treatments," the vast majority of which either lack scientific support or have been scientifically disproved, outright (e.g., facilitated communication, see Jacobson, Mulick, & Schwartz, 1995). Several independent review sources have consistently found that early intensive applied behavior analytic intervention (ABA) continues to be the only treatment for autism which is backed by substantial scientific evidence (NYSDH, 1999; Satcher, 1999). The effectiveness of ABA has been replicated yet again in two recent outcome studies (Howard, Sparkman, Cohen, Green, & Stanislaw, 2005; Sallows & Graupner, 2005). A substantial percentage of children with autism currently receive "biomedical" treatments, despite a current lack of evidence to support or refute most of them. In a recent survey of parents of children with autism (Green, et al., 2005), 27% of parents reported that their children with autism currently receive treatment in the form of special diets and 43% reported using vitamin supplements. Parents must ultimately make the decision as to which treatments are appropriate for their children, regardless of diagnosis or disorder. CARD's position on research on biomedical treatments and on the collaboration of behavior analysts with clinicians and researchers from other disciplines is based on the points elaborated above. At least two factors contribute to what we perceive as a grievous need for sound empirical research on the effects of biomedical treatments for autism. First, as the Green, et al., (2005) study demonstrates, biomedical treatments are being implemented on a widespread basis. This fact alone is more than ample justification for conducting research on their safety and effectiveness. Such widespread use must be tempered with sound research. Second, many parents honestly believe that their children have significantly benefited from biomedical treatments. As clinicians and applied scientists, we have an ethical responsibility to take the concerns and beliefs of our clients seriously. To dismiss the convictions of our clients would be tantamount to disrespect for those who are mostly closely affected by autism. At the same time, ample research has demonstrated that clients can be made to believe that an intervention is or is not effective, regardless of the actual effects produced, and therefore opinion alone (be it that of a client or a scientist) is never to be accepted or rejected outright. Sound empirical treatment research is the only path toward addressing such concerns in a sufficient manner. Throughout the history of science, particular schools of thought and areas of research have risen and fallen amidst ubiquitous controversy. Ultimately, controversy may have very little effect on which approaches to a problem are borne out. When a useful solution to a problem is discovered, and the results are replicated many times over, little is left to controversy. The use of ABA for children with autismwas once highly controversial but the unrelenting work of parents and the repeated and consistent replication of beneficial results in the scientific literature has moved the field of ABA closer to the mainstream. Most biomedical treatments for autism have not yet been subjected to repeated, rigorous outcome research. Thus conclusions regarding their effectiveness (either for or against) cannot be made. The best safeguard against controversy in the evaluation of scientific issues may be skepticism. Skepticism does not refer to disbelief. It refers to the practice of withholding judgment on a given topic until such time as sufficient evidence warrants judgment one way or the other (Shermer, 2002). In the absence of conclusive evidence, then, one might be advised to be skeptical of the view that an intervention works, as well as to be skeptical of the view that it does not. It is CARD’s position that conclusive evidence for or against the effectiveness of most biomedical treatments for autism does not at this time exist. Hence the urgent need for empirical investigation and the futility of blind acceptance or denial of the validity of the biomedical treatment of autism. A common feature of any controversy is polarization. A casual review of the major clinical, research, and advocacy factions within the field of autism today reveals that most parties ardently maintain that biomedical treatments are either extremely effective or a total sham. Many who advocate for biomedical treatments appear to believe that all biomedical treatments are equally effective and all are virtual cures for autism. Many who reject the utility of biomedical treatments, on the other hand, do so across the entire range of treatments, without regard to the particular case for or against the many divergent treatments which fall under the biomedical umbrella. Particularly given the still largely unknown etiology of autism, either position appears premature at the current time. Autism is a spectrum disorder which is comprised of millions of individuals who present with widely divergent characteristics. It is not yet even known whether all cases of autism share a common etiology. Given the widely divergent manifestations of the disorder, if any biomedical treatments are proven to be effective in the future, it seems unlikely that any particular one will prove equally effective for all persons with autism. Even less likely is the notion that all biomedical treatments will be equally effective or ineffective, if the large variability within autism is ignored. Perhaps most disturbing is the notion that it is not possible to reliably evaluate the separate and combined effects of ABA and biomedical treatments for autism. This perspective is based on a fundamental misunderstanding of the nature of experimental scientific investigation. Virtually all disciplines of experimental science agree that experimentation consists of altering one variable at a time and observing the effects that the alteration produces on another variable. Sound experimentation depends on manipulating one variable at a time while simultaneously controlling for the influence of extraneous variables. To the extent that this is done (regardless of the particular scientific field or research topic), inferences can be made about the effects of one variable on another. There is nothing peculiar about autism, ABA, or biomedical treatments which preclude this sort of experimentation. It is common for clinicians (behavioral, medical, or other) to manipulate multiple variables simultaneously in order to bring about optimal treatment outcome and any time this is done it is likely to preclude precise analysis of which variables were responsible for improvement. In order to produce sound research on the separate and combined effects (if any) of each approach, experiments must hold one variable constant while manipulating another. This approach to autism research is largely untouched within the ABA and biomedical communities, but this fact does not preclude such research from being developed, and indeed it is currently under way at several research sites. Toward this end, CARD is currently collaborating with medical doctors to conduct sound research on biomedical treatments for autism. The focus of this effort is to identify which, if any, biomedical treatments result in which particular improvements for particular individuals with autism, given their unique biomedical and behavioral status. All research conducted is interdisciplinary in nature and all treatment studies evaluate multiple behavioral and biomedical measures. The goal is to establish a model for interdisciplinary collaboration between behavior analysts and medical doctors in researching treatment for individuals with autism. It is our hope that the research produced will forge a path toward addressing the debate regarding biomedical treatments for autism with sound scientific data, thereby displacing the current culture of hearsay and controversy. In summary, the CARD position on the biomedical treatment of autism is not one of belief or disbelief, it is one of uncertainty. It is our hope that the coming decade will yield the evidence which is so desperately needed to transform the current debate about biomedical treatment from one based on subjective report to one which is grounded in sophisticated analysis of sound scientific data. Green, V. A., Pituch, K. A., Itchon, J., Choi, A., O’Reilly, M., Sigafoos, J. (in press). Internet survey of treatments used by parents of children with autism. Research in Developmental Disabilities. Howard, J. S., Sparkman, C. R., Cohen, H. G., Green, G., & Stanislaw, H. (2005). A comparison of intensive behavior analytic and eclectic treatments for young children with autism. Research in Developmental Disabilities, 26, 359-383. Jacobson, J., Mulick, J. A., & Schwartz, A. A. (1995). A history of facilitated communication: Science, pseudoscience, and antiscience science working group on facilitated communication. Americal Psychologist, 50, 750-765. New York State Department of Health Early Intervention Program. Clinical Practice Guideline: Report of the Recommendations, Autism/Pervasive Developmental Disorders, Assessment and Intervention for Young Children. 1999. Publication #4215. Health Education Services, P.O. Box 7126, Albany, NY 12224. Sallows, G. O., & Graupner, T. D. (2005). Intensive behavioral treatment for children with autism: Four-year outcome and predictors American Journal on Mental Retardation, 110, 417-438. Shermer, M. (2002). Why people believe weird things: Pseudoscience, superstition, and other confusions of our time. New York, NY: Henry Holt. Under both State and Federal Law, your child is entitled to a Free and Appropriate Public Education (FAPE). Therefore, if it is established that the system of public education available to your child is not "appropriate" for his or her needs, it may be possible to secure funding for an ABA program which may be considered more appropriate to meet the educational needs of your child. You may be able to secure partial funding from your school district or local education authority for the educational needs of your child, and partial funding from your local regional center or Medicaid agency for the behavioral needs of your child. In some circumstances, education authorities and Medicaid or similar state agencies work out a formula to share the cost of your child's ABA program. If your child is under the age of three, you will not be eligible to gain funding from your school district. Because of this, you may be able to gain the bulk of your funding from a commercial insurance plan and/or state Medicaid or Health Department agency. To gain partial or full funding for your child's ABA program from such an agency, you must contact the service coordinating agency in your area (such as a Regional Center) and request that an assessment of your child be conducted. A Medicaid caseworker will be assigned to you and an intake and subsequent multidisciplinary assessment will be arranged. After the assessment an Individual Family Service Plan (IFSP) meeting will be conducted. The purpose of the meeting is to discuss the results of the multidisciplinary assessment and propose goals and objectives. Once goals and objectives are agreed upon, placement and services that will assist your child in meeting those goals will be discussed. At this time, you may be offered behavioral services. It is your responsibility to ascertain the level of experience of the vendor offered to you and also to determine if the number of hours you have been offered is appropriate. Therefore, it would be necessary for you to gain the advice of a well-known private ABA professional if you are unsure about the options given to you by the state agency. If your child is over the age of three, you may be able to gain funding from your local education authority (school district). If your child already qualifies for special education services and has a classroom placement and/or has been receiving special services, you may request a change in services and/or placement. In other words, you may request that the district fund an ABA program. In order to request such funding, you must ask your district to hold an Individualized Education Plan (IEP) meeting. All such requests should be made in writing. If you are approaching your school district for the first time, its staff will want to ascertain the eligibility of your child for special education services, and an assessment will be scheduled. Following the assessment, an IEP meeting will be arranged to discuss the results of the evaluation and propose goals and objectives. Once goals and objectives are agreed upon, placement and services will be offered. Once again, if you have questions about the appropriateness of the offer, it would be necessary for you to consult with a private ABA professional who specializes in such treatment. Some school districts provide ABA programs themselves, and CARD recommends that you observe and evaluate the programs offered by your local education authority as these programs may be able to meet your child's needs. "Appropriate" is the critical term in FAPE - the education that a child with disabilities receives needs to address his or her specific and individual educational needs. As such, what is "appropriate" for one student may not be "appropriate" for another. Determining what is "appropriate" for each student involves several processes. First, an individualized evaluation is conducted. The purpose of the evaluation is to identify the student's areas of strength and weakness in as much detail as possible. The next step is for the IEP team to discuss and develop an IEP for the student. The IEP team generates and identifies appropriate goals and objectives for the student to work on throughout the year. Furthermore, placement and the type of special education and related services appropriate for the student are identified. This decision is based on the goals and objectives that have been developed as well as the child's individual needs. In addition to specifying an appropriate placement, the team must identify and provide the supplementary aids and services in order for the child to succeed in the given educational setting. Appropriate Evaluation: This principle assures that all children with disabilities are appropriately assessed for the purpose of determining eligibility, educational programming, and individual performance monitoring. Moreover, evaluation activities should gather information related to enabling the child to be involved in the general curriculum. Furthermore, testing and evaluation materials must be selected and administered so as not to be racially or culturally discriminatory. The information gained through the evaluation should be used to assist in the determination of what an "appropriate" education would be for the child. The Least Restrictive Environment (LRE) is determined based upon each child's individual needs. The law's presumption is that the student should be educated in the regular classroom with nondisabled children, with supplementary aids and services provided as necessary to enable the student to succeed in that setting. A student's placement in the general education classroom is the first option the IEP team must consider. If it is determined that a student cannot be educated in the general education classroom, even when supplementary aids and services are provided, an alternative placement must be considered. As such, schools are required to ensure that a continuum of alternative placements are available. These may include, but are not limited to, special classes, special schools or home instruction. Schools are required to involve each child's parent(s) in the development of the child's IEP. Parents must be notified, must give consent, and parent's input must be solicited and considered. Students may be members of the IEP team and participate to the extent possible. Teach your child new skills with Autism Learning Games: Camp Discovery! 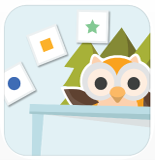 Developed by the Center for Autism and Related Disorders (CARD), Camp Discovery offers a growing suite of learning games that appeal to children and are approved by parents, teachers and therapists. Based on CARD’s renowned curriculum, Camp Discovery creates fun learning opportunities for children with autism and is an excellent learning tool for children ages 2 and up. The teaching methods used in Camp Discovery were designed by experts in the field of autism and are grounded in scientifically-proven behavioral principles, including reinforcement and prompting. For correct responses, players receive visual and auditory rewards to keep them motivated and engaged. After incorrect responses, a unique prompting system guides the player to answer correctly. Although Camp Discovery was designed for children with autism, all children can benefit from its carefully developed teaching methods. Every Learning Trial Begins with a Preference Assessment Rewards for correct responses are personalized for each player based on preferences determined in the assessment. Since each player is unique and preferences will change, the assessment is repeated regularly to keep the game reinforcing. Fun Mini Games Motivate Learning Mini games serve as both a break from learning and an exciting reward for completing rounds. Progress Reports Track Improvement Camp Discovery allows you to track your child’s progress across games and generates graphs to show you how much your child is learning. Parents are in Control Multiple settings can be adjusted to personalize your child’s learning experience. The Camp Discovery interface was designed for easy use. The games are voice narrated, and responses require dragging and dropping or touching flashcards. Available for Android devices here: https://play.google.com/store/apps/details?id=card. Background on Location of Services in Autism Treatment: For behavioral health treatment services, the location, such as a school or community setting, may be an integral part of the treatment plan and may be necessary to ensure treatment goals are met, especially generalization of skills across settings. That is, for treatment to be effective, skills must be generalized across all natural environments, and the school is a natural environment for a school-age child. Specifically, medically necessary autism treatment may be provided in a school setting (a) to ensure that skills acquired in the home and community generalize to the school setting; (b) when the behavior occurs in the school setting; (c) or simply as a matter of logistics to ensure that a child’s treatment is delivered at a sufficient level of intensity (i.e., number of hours per week). EPSDT Mandate: Medicaid’s Early and Periodic Screening, Diagnostic, and Treatment (EPSDT) benefit for children is intentionally more robust than the Medicaid services required for adults. EPSDT requires the state to provide services that are medically necessary in community settings, including at school. EPSDT requires that the state make provisions to allow children to receive ABA treatment in school when delivering services in that setting is medically indicated. Medicaid Services vs. IEP Services: The Medicaid mandate to provide coverage for medically necessary treatment is a much higher standard than the duty of the school under IDEA to provide Free Appropriate Public Education (FAPE). Services provided by a school under an IEP do not preclude or supplant medically necessary services that are being provided across all natural settings, including the school. Medically necessary services funded by Medicaid target goals in the treatment plan, which addresses the deficits and behaviors associated with the child’s autism diagnosis; Medicaid-funded, school-based services do not address educational/academic goals. Schools typically do not provide medically necessary treatment; they may provide supports pursuant to a different standard (some educational benefit), for different purposes (to access the educational curriculum) with differently credentialed providers (special education teachers and aides). Such services do not supplant medically necessary treatment and do not relieve Medicaid of its obligation to fund such treatment. Relevant Case Law and CMS Guidance: When this issue has been litigated, the Court has consistently determined that Medicaid agencies are responsible for funding of medically necessary treatment, regardless of the location where it occurs, including school settings. Given advances in medical care and the goal of independence reflected in the Medicaid Act, services cannot be limited to the home and must also be paid for in the school setting. Providing behavioral services in natural settings in which a child with autism functions, such as schools, is considered a best practice. Contributions from National Health Law Project and Daniel Unumb, Esq.